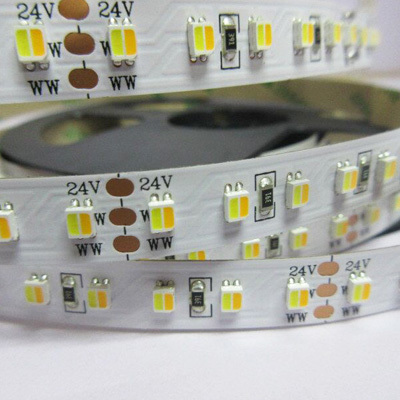 but also can reach 120led/m 24v 19.2w/m with 10mm white FPCB, 2 colors in 1 SMD3527 dual color led lumens is 7-8lm. warm white cct is 2800-3200k, and white cct is 6000-6500k. 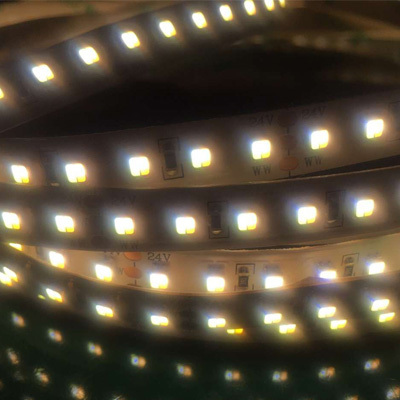 with this smd 3527 dual color led strip, only one led strip with two lighting effect, highly cost-effective.